OutdoorsMark specialises in safety audits for the outdoor sector. Since 2003, OutdoorsMark’s professional auditing service has been making a positive contribution to the safety management of a wide range of businesses in the outdoors community. OutdoorsMark is proud to be JAS-ANZ accredited to audit against the Adventure Activity Regulations. OutdoorsMark work with a range of government and industry organisations to develop safety audits that meet a range of criteria. 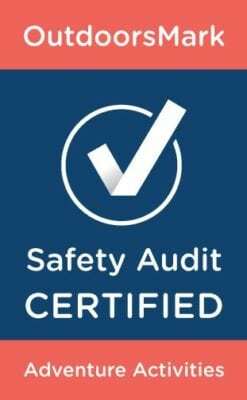 Their professional auditing service provides safety and quality assurance, which will add value to your business.